2012 was a huge year for me in just about every major area of my life possible. Running was no exception to that rule, and since I think it’s fair to assume that most of my readers are in one way or another interested in running, here’s a summary of everything I did this year. Shoutout to Lindsay for introducing me to the form and Kim for creating the form in the first place! New to me distances: 4M, 9K, 10K, Half Marathon. I like to call 2012 the year of the PDR haha. Hottest race: Chicago Fire Fighters Run for the Kids — somewhere in the 80s (which, believe it or not, was actually comfortable, given that the high temperatures for the week before the race were 90, 93, 89, 95, 98, 99, and 91. I hated this summer so hard). Windiest race: Jingle Bell 5K — doggone headwind for the last half of the race. Wettest race: Jingle Bell 5K — drizzly the whole time. Race entries I paid for other people: 0, but I really like this idea and think it’s something I’d like to start doing. Cheapest race: Resolution Run — $23 for a 4M! Yes please. Races run alone: 5. Kind of. Races run with others: 4. Kind of. I didn’t run side-by-side with anyone for a full race, but I ran 4 of the same races as friends/family. Who: Good friend from college: River Bank Run 10K. Mom, Dad, brother, sister: 5K. Another friend from college: Chicago Half Marathon. Running friend: Jingle Bell 5K. Races run without music: 0. I’m a purist and don’t believe in running with music. I even bought a copy of that picture. Proudest moment of my life thus far right there, people. Considering that this was my first full calendar year as a runner, I’d say 2012 was pretty good to me. I had my fair share of shin split trouble, especially during my first 10K training, but overall I’d say I stayed injury free, and I’d really say that’s one of my primary goals in running. I’ve got some high hopes for running/racing in 2013, so here’s to another fun and injury free (and hopefully not as hot) year of running! This is a great year of racing! I hope 2013 is even better! ahh I love that picture of you crossing the finish line, man you had a ton of great races this year. 2013 will be even better, I feel it! that was an awesome year of running for you! i didn’t really do many races this year because i was completely consumed by the marathon but i can’t wait to do some racing in 2013! Yeah, I imagine the marathon will take over my life this year as well, assuming all goes well and I’m able to run it like I hope to! What an awesome year!! Congrats on your accomplishments! Can’t wait to see what 2013 holds for you! Great year of running and LOVE that picture! Congrats on your first full year as a runner! That is awesome! And thanks for the shoutout! It’s such a nice touch! Even though I don’t think anyone could see my name while I was running, having the volunteer who gave me my medal congratulate me by name really made the race feel more personal, even though there were thousands of other runners there (I also wondered for a second how she knew my name, until I remembered that it was on my bib…haha). Wow! You really did have a killer race year. Year of the PR. I like that. 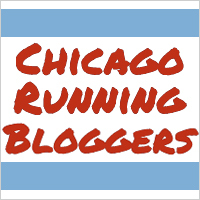 And since I don’t foresee the Chicago marathon in my future for at least a LONG time, I think I may do the Chicago half someday. Glad its a race you loved! Thanks! Chicago’s my goal, but we’ll have to see what the year brings for me as well. Great year of racing! I love your finisher’s pic! The summer was so hot this year. I put a ton of ice in my bike water bottles for rides and the water would be lukewarm halfway through the ride. Yuck. Thanks! I would put ice in my Nathan on super hot days when I headed out to run, and it usually lasted *maybe* a mile if I was lucky. If next summer is like this past summer, I’m moving to Alaska.